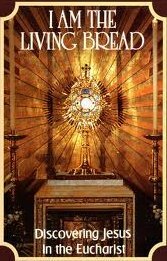 Our parish would like to be a host parish for Perpetual Adoration. I think one of the greatest challenges is having the human capitol (i.e., knees in the pews) to ensure that He is never alone. It is my personal opinion that an untapped resource are the youth and young adults of any parish, let alone mine. During the last two years in high school, I spent at least an hour every Friday night at a local parish that has perpetual adoration – it changed my life. That time every Friday energized my prayer life, assisted in my struggles against sin, helped my studying (He makes an excellent tutor) and secured for me a peace dispensed only by the Lord. In fact, my Sr. Prom included a stop by the chapel for adoration (yes, I know I am a geek) with my date and the couple we were doubling with. It was an unforgettable hour for all of us. The Lord blessed it beyond our wildest imaginations. Did anyone think we were weird? Only those who were to scared to name what they really wanted and needed. Most of our friends wish they had done the same. In college, adoration continued and began an anchor to my week. Once I was married, my wife insisted that I stop by for adoration before I came home – otherwise, I was a bear. I would like to offer a challenge to any teen and young adult reading this today: Commit to at least one hour of adoration a week for the rest of Lent. If you take up this challenge, and send me your name, I pledge to offer you up – by name – during my recitation of Lauds and Vespers and pray for you and your intentions daily during Lent (Take the deal while supplies last). I might even be able to sweeten the deal by coaxing additional deacons to join me. During this challenge, I want you to dare the Lord to change your life. Toss down the gauntlet before Him and challenge Him to reach down into the deepest and darkest recesses of your heart, and in an intimate way, break through your during adoration to profoundly rock your world. One of the few promises I can make is that you will not be disappointed! So, you game? Don’t be a Catholic sissy…bring it! I know that there are enough people in my parish…even among the teens and young adults…to make perpetual adoration a reality. Youth and young adults, you are the sleeping giant that Church needs. It’s time for you to wake up and take your rightful place in the mission of the Church – it all starts with adoration. I can make this simple guarantee, once it is established, well, I will testify in the courts of our Lord, that the parish will be renewed, lives will be changed and miracles will become a daily occurrence. Until that time, if you want adoration and you have a group that is willing. Find me, for you are the treasure of the Church and I will gladly present you before the King of Kings. ← Liturgical Revolution on the Horizon? As a CCD teacher and a counselor for the Squire Roses, I wonder if the teens/youth you’re reaching out to know how to do an hour of adoration to our Lord. I think your message to them is powerful, but I think some might hesitate because they don’t know what to do. Thank you for your mission. Those teens in the youth group regularly have adoration. It is also part of every retreat, day of reflection and weekend event. For most of them, in discussions, it is more about time than anything else. As for the the Squire Roses, I would be happy to explain and walk them through. It is more and more becoming part of religious education. We have also begun introducing adoration to the parents for first communion and will be for confirmation. Eventually, all the religious education classes will have ample opportunities.